Before you get caught up in Oscar fever, see if the next Martin Scorsese, Kathryn Bigelow or Billy Wilder is waiting to be discovered at Humboldt State University right now. Go beyond indie on Friday, Feb. 20 at 7 p.m. in the Van Duzer Theatre when the HSU Film Showcase gets rolling (free). It's the premiere of eight student films, and who knows, maybe the beginning of a legacy. Then on Sunday, Feb. 22, it's the gowns, the tuxes, the flashbulbs! The air kisses and barely disguised rivalries! And that's just in the lobby. 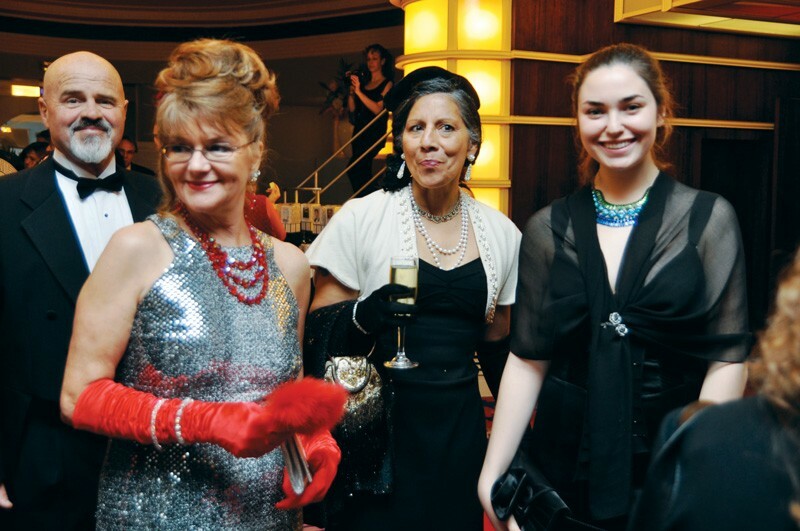 Make an entrance at the Eureka Theater at 5 p.m. for the Red Carpet Gala ($30, $25 advance). Unless you want to watch the Oscars on the couch with Cheeto-stained fingers and nobody to appreciate your spot-on predictions. Again. The theater and the Humboldt-Del Norte Film commission are putting on the ritz with schmoozing in the lobby and a big-screen broadcast of the Academy Awards. Servers will be sweeping in with trays of all sorts of tasty finger foods from Brett Shuler Fine Catering (mingle, converse, but don't lose sight of those canapés), and that schmancy bar will be cranking out glamorous cocktails all evening. Folks at home will be yawning through commercials, but you'll be watching the drama onstage as presenters hand out Humboldt's own awards. Have a speech prepared just in case (unless you're Leonardo DiCaprio), act surprised (unless you're Meryl Streep) and don't forget to thank your mom.